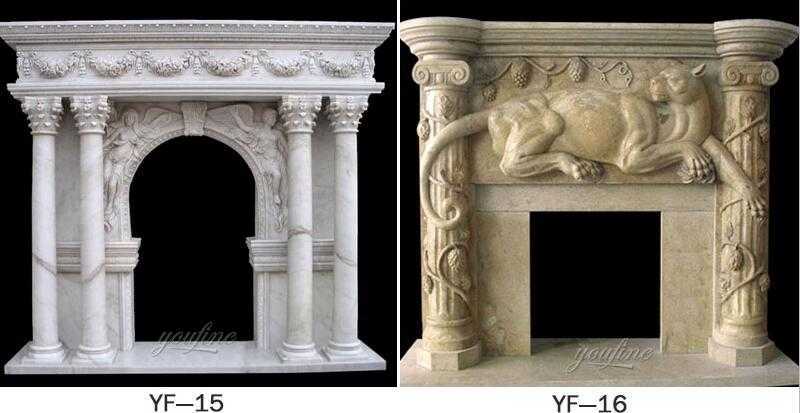 Contact with us,if you have requirement about marble fireplace with lion head design,we are the leading supplier of marble carving product !Our collection of marble fireplaces incorporates contemporary and classic designs to suit your preferences. Size: W60”, H47“or Customized Size. 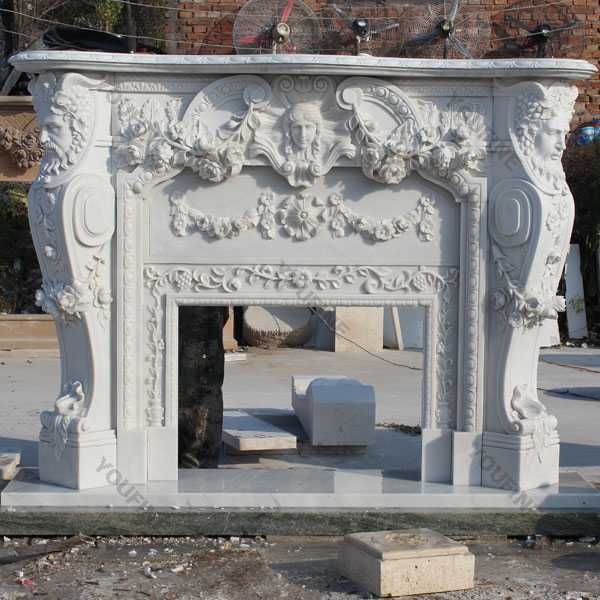 For incredible impact and sophisticated style, marble fireplaces are an excellent choice for those who want their marble fireplace with lion head to be a remarkable and enviable focal point. With class, sophistication and grandeur, our range is made from 100% solid marble. 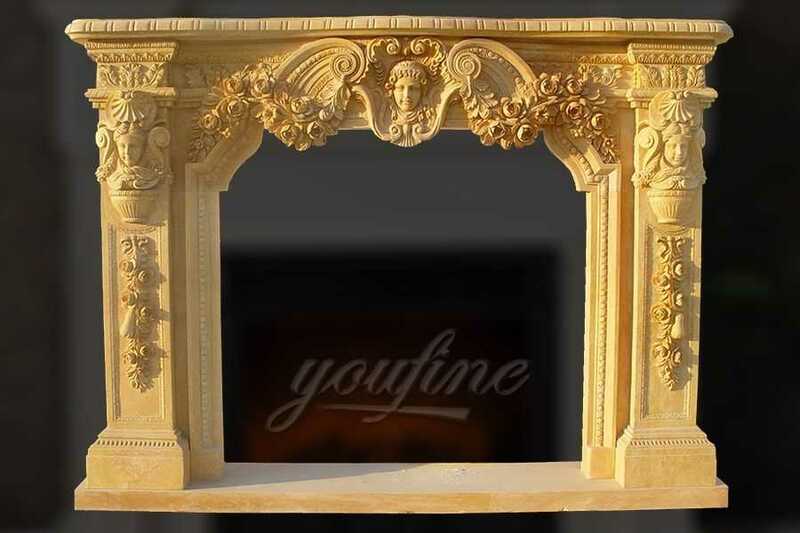 You Fine have all kinds of fireplace. 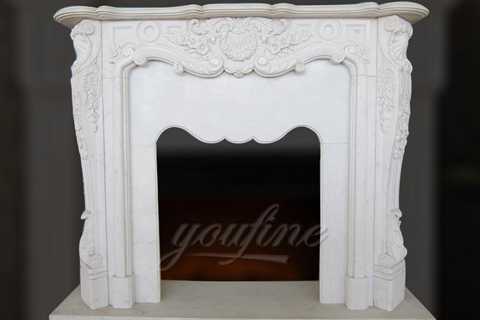 According to the elements, We have figure fireplace, animal fireplace, flower fireplace, over mantel. 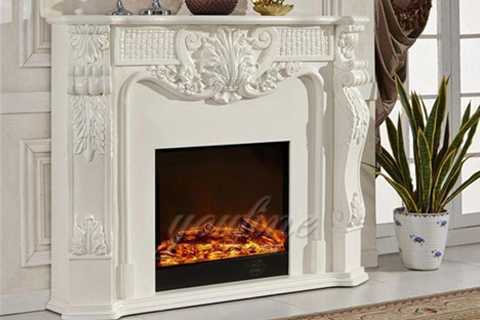 According to the style, we have French fireplace, English fireplace, Georgia fireplace, the regent fireplace, Victoria fireplace etc. 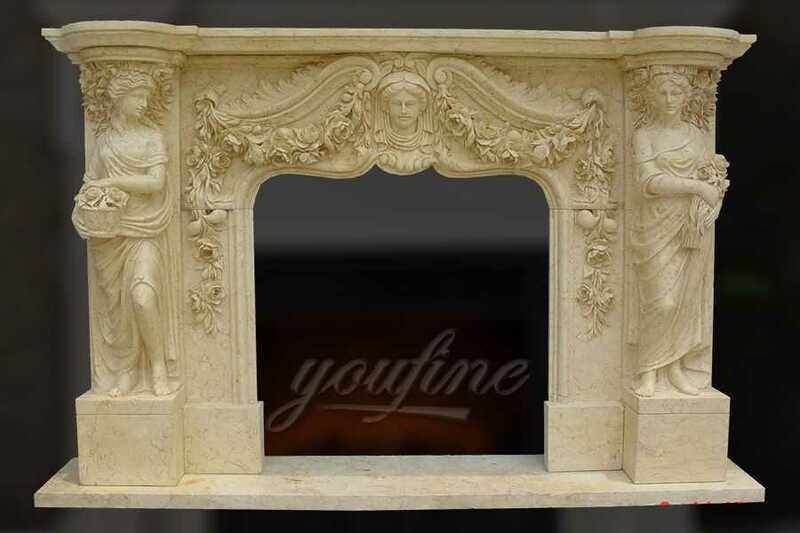 Marble fireplace with lion head is decorated with ornate carving of rose flowers pattern,leaves and lion head,in the central of the tablet is a man with mustache mask. 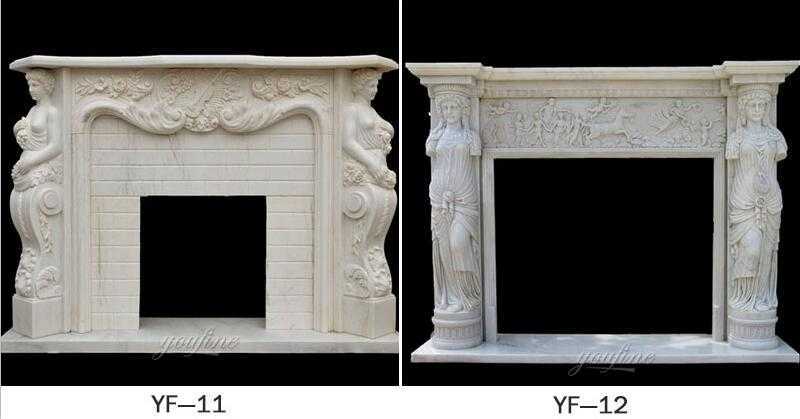 Two sides of the fireplace is decorated columns. On the top of the columns is the lion head. The beautiful rose and leaves across all the fireplace. 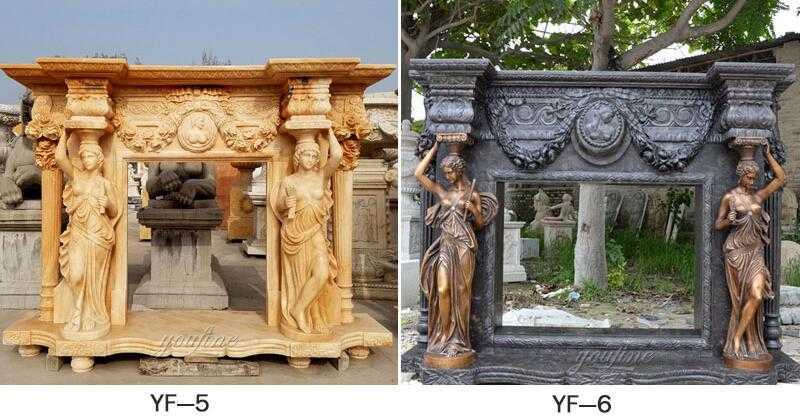 You Fine also offer customized design and CAD drawing. The solid natural marble stone is an incredible design feature in itself. 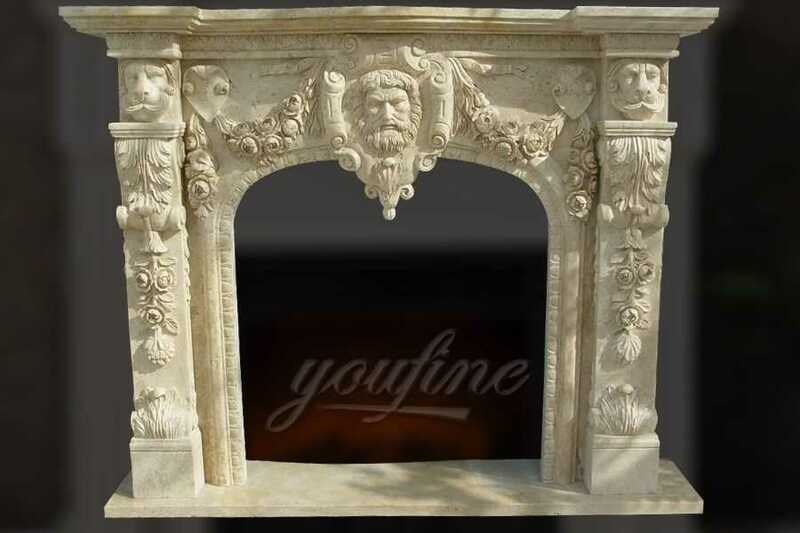 A marble fireplace with lion head will add seamless style to any room complementing all manner of interior design and décor. With a variety of beautiful styles in our esteemed collection from smooth, sculpted arches to intricate tiled detail, you can be sure to find the perfect marble fireplace to suit your home. 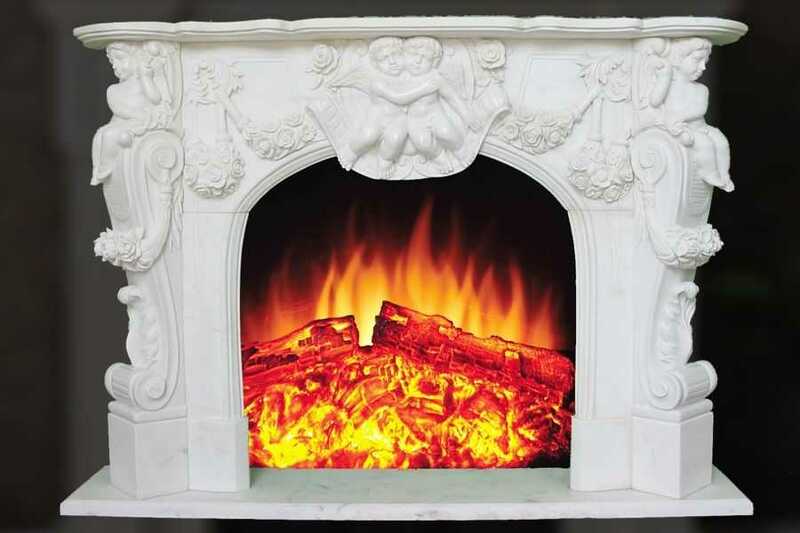 Indulge yourself in our luxurious selection of our marvellous marble fireplaces and suites. 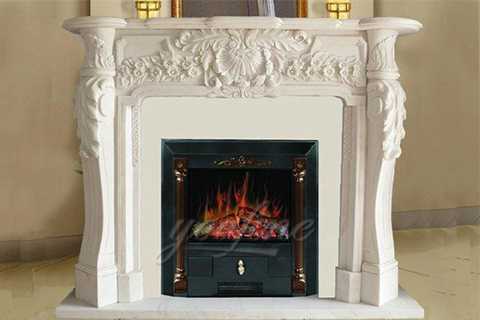 Our collection of marble fireplaces incorporates contemporary and classic designs to suit your preferences. Smooth and sleek, deluxe and durable, you won’t want to miss out on our amazing offers ! 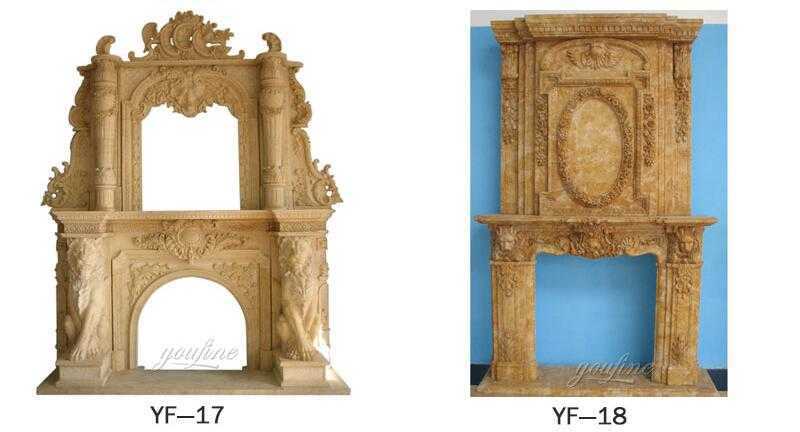 Contact with us,if you have requirement about marble fireplace with lion head design,we are the leading supplier of marble carving product !